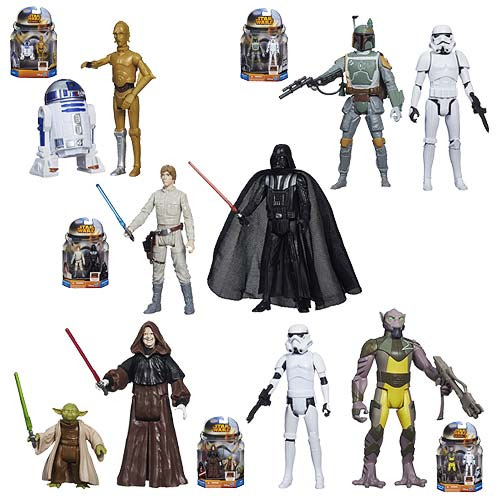 Awesome action figure 2-packs from the Star Wars movies and TV shows! The Star Wars Mission Series Action Figures Wave 4 Case spans the saga, with characters from the movies! Go on a mission to another planet with the Star Wars Mission Series Action Figures Wave 4 Case! Each 3 3/4-inch action figure 2-pack includes a pair of figures, awesome accessories, and big action from a galaxy far, far away. Build your armies! Save the galaxy! Attack some robots! It's a great time for kids and collectors of all ages. Ages 4 and up.